Update 1/11 6:00 p.m.: Sigma Alpha Epsilon, Zeta Beta Tau and Beta Theta Pi have been approved by the university to resume recruitment activities as of Thursday evening, according to the website Ohio State created to update the public on the status of suspended IFC chapters. 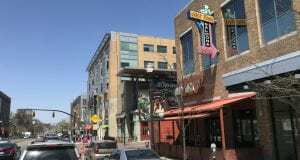 At the time of publication of the article, SAE, ZBT and Beta were not approved for the resumption of recruitment activities, according to the website. For all updates on the status of Ohio State’s IFC chapters, visit https://ohiounion.osu.edu/get_involved/sorority_fraternity/ifc_fraternity_status. Fraternities continue to fall like dominoes in the wake of Ohio State’s investigations into the misconduct of several chapters. The university levied sanctions on three fraternities with the conclusion of its investigations into the chapters for violations of the Code of Student Conduct. Each of the fraternities accepted responsibility for their respective violations. 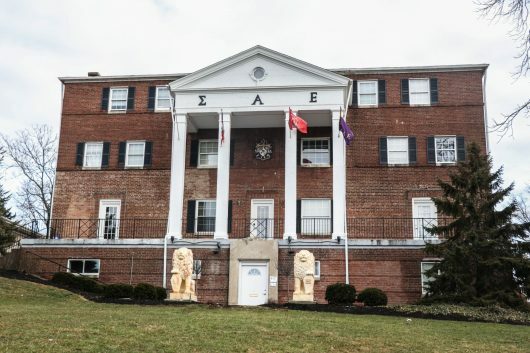 Beta is on probation through May; SAE is placed on probation through December; and ZBT is on probation through May 2019, according to the investigations released by Ohio State Tuesday. The Office of Student Life is currently lifting various IFC chapter suspensions once each respective fraternity submits comprehensive plans covering everything from updated recruitment policies to new-member education plans — each with an emphasis on anti-hazing education — as well as detailed alcohol policies. Once the plans are submitted and approved, the university will determine whether recruitment events, new-member activities and social events are allowed to be held by the fraternity. Currently, Beta is approved to hold recruitment events and new-member activities but not social events. SAE is allowed to hold only recruitment events, and ZBT is not approved for any of the three. The university’s investigation into SAE was sparked by an email sent to a dozen Ohio State officials — including University President Michael Drake and Dr. Javaune Adams-Gaston, the senior vice president of student life — from an individual who said she was the mother of a member and represented “many other moms of this chapter.” The email detailed hazing activities during the new-member initiation process told by her son. The sender, whose name was redacted for privacy protection under FERPA, claimed that during the pledge process there was physical abuse that resulted in concussions, “heavy drug use” and “major drug dealers inside this chapter.” She also said members slipped drugs into drinks of pledges and forced pledges to miss class or face additional hazing. The Lantern was unable to verify the claims written in the email and it’s unclear if the university could authenticate the claims. 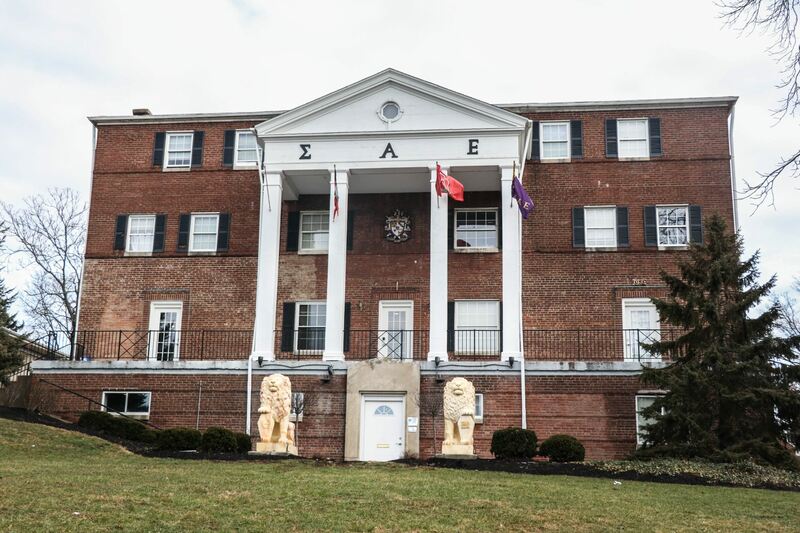 Ohio State’s investigation into the Theta chapter of SAE began Sept. 2 and concluded Nov. 1, with a punishment of more than one year of probation. The university found members violated the Student Code of Conduct during a social event after new members received mentors, known as a big/little reveal. In an effort to eliminate hazing, SAE chapters across the country renamed their initiation process the “True Gentleman Experience” in 2014. 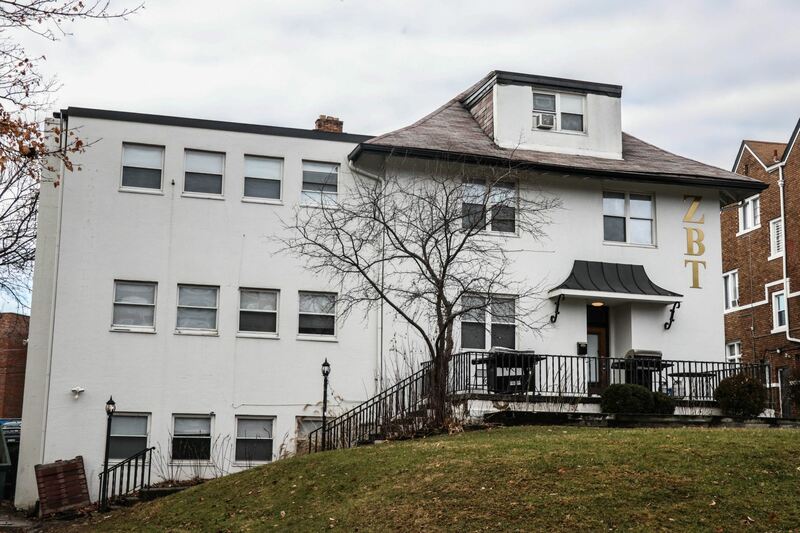 Alcohol consumption at the big/little reveal led to a new member requiring medical attention and “created an environment that caused or threatened harm to the safety” of chapter members, according to the records. The university also investigated SAE for potential drug abuse within the chapter, but it was not one of the violations listed in the investigation conclusion. Johnny Sao, a spokesman for SAE’s national offices, said the organization supports the university’s imposed sanctions. “The national organization is fully cooperating with university officials with implementing policies and procedures to advance the health-and-safety of all Greek-letter community activities,” Sao said in a statement. The university sent the fraternity’s Nu chapter a cease-and-desist order Oct. 6 and investigated allegations of underage drinking at chapter events throughout September. It found new members were drinking underage; a few required medical attention from overconsumption. In addition to the nearly two years of probation instituted at the investigation’s end on Nov. 15 the university required that the time of new-member meetings cannot be changed to “punish new-member behavior,” according to the records, and the chapter must provide a written summary of several risk-management policies before alcohol was permitted at chapter events starting Jan. 8. However, the university banned one of the chapter’s drinks of choice from all future events — Four Loko. ZBT’s national office did not immediately respond to a request for a comment on this story. 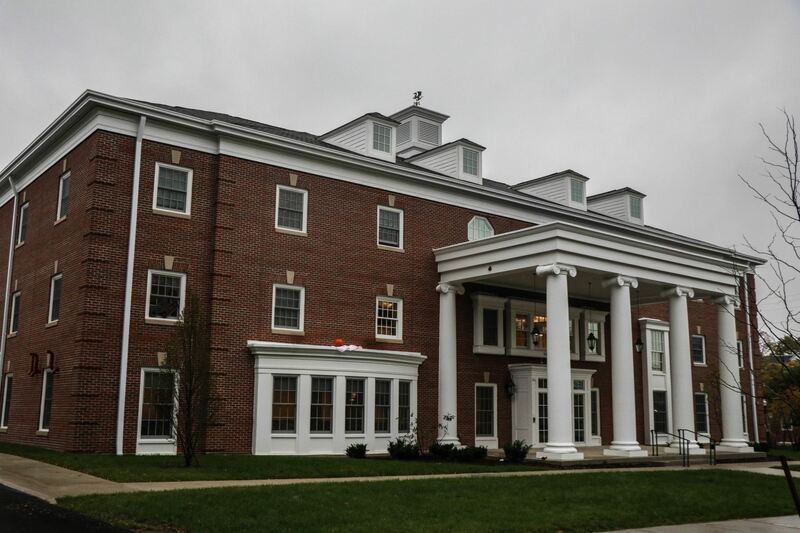 Beta was placed on probation after the chapter’s national headquarters self-reported infractions to Ohio State, triggering the investigation by the university into the fraternity. The infractions occurred in April during initiation week and were sent to the university in August. 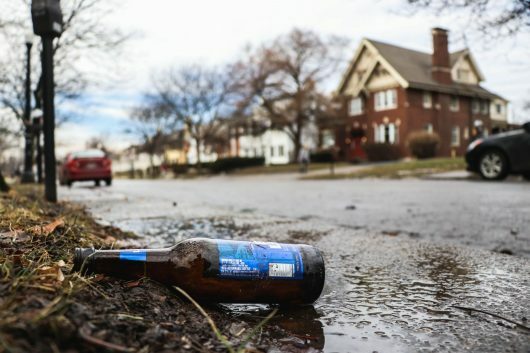 The chapter must complete a hazing education program aimed at clarifying the “gray area” within hazing before recruitment activities can begin this semester, and an Alcohol Skills Training Program by the end of the probation period. Justin Warren, a spokesman for Beta’s national office, said the chapter will continue to work with the university in implementing new policies. “Beta Theta Pi has worked closely with the university throughout this disciplinary process. While disappointed in the chapter’s conduct, we are pleased that our young men accepted full responsibility for their behavior, and are taking important action with the university and our General Fraternity to promote the health and safety of all members,” Warren said. Additionally, Tau Kappa Epsilon was suspended from campus for three years after Ohio State’s investigation found the chapter guilty of hazing, endangering behavior and alcohol-related violations. The TKE investigation has yet to be released by the university, and the national headquarters for the fraternity said it is currently appealing the suspension. Zeta Beta Tau has been approved for recruitment. Please check your University sourced before publishing false information and kindly update your article to reflect this. How about talking about the fraternities that have no infractions and in fact are at the top of the GPA average. Good on Ohio State for stopping the wretched practice of fraternities having pledges recite a creed in front of a chapter president. We are all safer now. I certainly hope that they take the same approach to halting the barbaric tradition of in-class presentations next. ZBT is fully approved for recruitment. I worked on an award-winning newspaper in high school and am frankly surprised by the lack of journalistic due diligence in investigating ZBT and its allegations and sanctions. It would probably be beneficial to actually do your job as journalists and investigate thoroughly and not just snap-publish something to which you have partial information with.